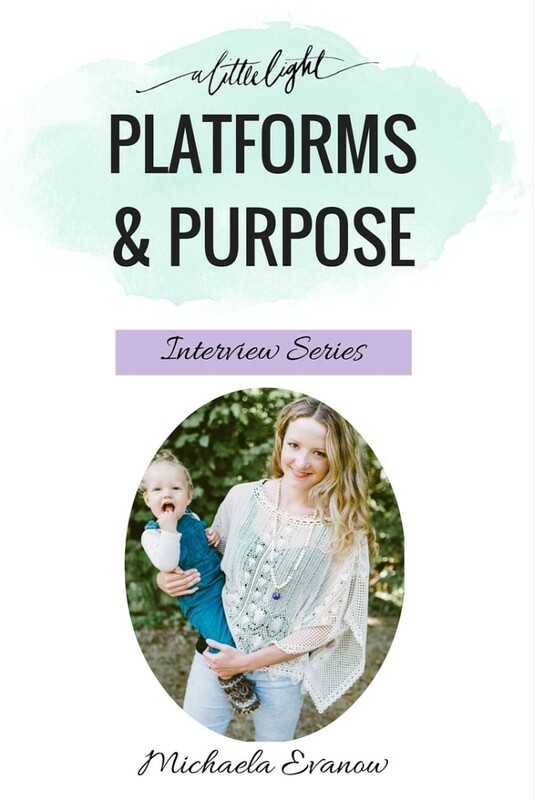 This is our second interview for the Platforms and Purpose Series. 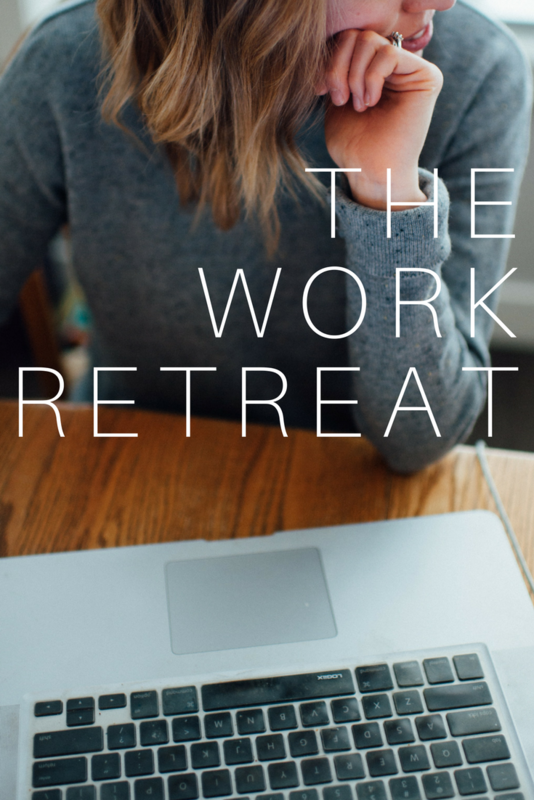 In this series we are interviewing Canadian Christian women with online platforms and asking them how their online work and their faith have interplayed. Today we are sharing our interview with Michaela Evanow. We first heard of her when she won this past year’s Vancouver Top Mom Blogger. Michaela is a wife, mama to two and writer in Vancouver, BC. She has been blogging for many years and her writing is beautiful, candid and poignant. She writes on many things and has been able to openly share the story of her daughter Florence, which has changed the lives of many of her readers. She’s on a mission to normalize #MamaGrief in order to bring more authenticity, support and community to mothers in grief. She owns MamaGems, a functional jewellery line and she loves essential oils, Jesus, coffee and thrifting for hidden gems. Your blog has been running for over five years. Why did you start a blog? I started writing when I was younger, during my travels abroad. I spent time in India, catching babies and learning the ways of a traditional birth attendant. My heart has always been for maternal healthcare. It’s one of my passions. So, I started writing about my journey, and continued on. I blog because I have to write. It’s my way of breaking down what is happening around me in the world. As your journey changed over the years, so has the content you share. What made you choose to write about your journey as a mom as opposed to other ‘niches’? I began writing about motherhood when I was pregnant. People started connecting with my blog at that point. Then, after Florence was diagnosed, the content changed drastically. I initially started a holistic “mommy blog” but after diagnosis, it certainly didn’t fit. I blogged less and wrote more. I needed to connect with myself during the deeply spiritual and grievous season. I write to connect. With myself and others. Your journey as a mom has been difficult, there has been lots of grief. How has writing about it helped you or shaped you? It has made my grief less scary. Other mama’s and people have written and told me how words have helped them in their own grief. We are never alone in our journeys, no matter how isolated we feel. Grief has always been a private, dark, fearsome thing. I felt such a deep desire to normalize it, especially in the Church. Why do you think it is important to share your story of Florence with so much rawness and vulnerability? I’m just a normal mama, on a journey. I don’t necessarily write with vulnerability for others, but mostly for myself. The words pour out of me, and I feel the need to let them come: real, raw, honest. I think that’s what we, as women, as humans, crave. Was there ever a point where you wanted to call it quits on blogging but continued out of obedience to God’s call for you? I’ve taken long breaks here and there. Writing pulls a lot out of me. Sometimes I don’t want to share. I don’t have the creative capacity to keep writing. After my son was born, I really had no time to write. I was juggling my new role as a mama of two, one with a serious medical condition. It was tough. I couldn’t muster up the energy or drive to write. But I kept at it, maybe once a month or even less, but it was something. And even when my words didn’t meet my own expectations (writers can be perfectionists), someone always commented or shared with me how deeply my words had affected them. In fact, the posts that I didn’t like very much always seemed to resonate the most with people! As you’ve opened up your story in your writing, you have found a community develop around you. What do you think our role can be as ‘writers/influencers/bloggers’ in creating community? Writing is so vulnerable. For me, I felt it was important to share about the emotional impact that mothering a terminally ill child had on me. I didn’t want to write about her medical appointments or the checkups or daily ins and outs of our life. I wanted to write about how it hurt. How it was hard and beautiful and scary. I began to hear more and more from other mama’s in similar situations as me. I felt like my heart would explode. I was so happy that these women were sharing their stories with me. “This is Motherhood (too)”, really impacted a lot of people. Friends and readers share with me how excited they are to see a new post from that series. Your platform and your openness has allowed you to open the door for other women’s stories. What are some real ways you think it is important for women to support each other online? The online community is really fabulous. I have met so many amazing women. I love them, actually. Some like sisters. I’ve never met them face to face (besides Face Time! ), but their stories are nearly identical to mine. That is powerful. I never would have met these women if it weren’t for the online community. Instagram is my favourite place to post mini blogs and follow along with some wonderful, creative, strong medical mamas and movers and shakers. Friends send love and kind words. They see photos and sit with me in my grief. All through our phones. During nap time, late at night, when we can’t sleep. I love it. Most any mom could never imagine what it would be like to walk the path you have. How do you respond to readers who express that your message is painful to them, or makes them feel guilty, or helpless? I’ve never had readers say they feel guilty or helpless, but some have expressed how painful it is to hear. I often don’t respond, because I’m not responsible for how people feel. My desire is to make grief and suffering and the hard things in life more real. Grief and suffering are universal. Sure, not everyone will lose their child, but it doesn’t mean I can’t share about our journey, intact and as it is. I can’t gloss over the hard bits. That’s not how my story is unfolding. I have to look right at my grief and wade through it. I can’t run away from it. I hope readers understand that I’m not trying to make them feel bad for us. God is with us in this. As Christians, we don’t get to avoid heartache. In fact, when we walk with Jesus, I think we have to accept that heartache will surely meet us on the road. What encouragement would you give to the woman who is holding back her words on a story that she finds painful to share? Writing is therapy. Saying it out loud makes it less scary. When we hold our stories in, we shut a part of ourselves down. Don’t feel that. Don’t let that impact you. Don’t worry. But really, internally, we are worrying. We are afraid. We are feeling things. It’s important to realize that we’re all just humans, bumbling along on this journey. No one story or person is more important than another. Vulnerability brings a sense of freedom.